IRON KLAW : DECLASSIFIED - Page 3- BLOOD FOR THE BARON!!! 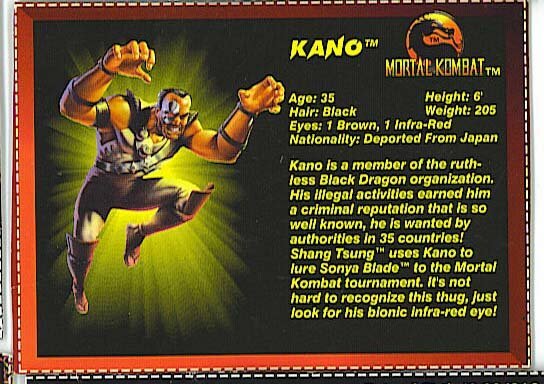 jamarmiller wrote: every character has this big backstory to them that rivaled Storm Shadows and Snakeeyes backstory EXCEPT black dragon the ninja LOL. He probally did too but we never got to see anything on him, he was the ONE character we never got a backstory too. Is there no possible way he's related to any of these guys? It would be cool to find out if he was. Some more pages from the digital comic featuring the Iron Klaw/Crimson Trooper fight. Although, some maybe disappointed to see the Iron Klaw is now part of Cobra.http://generalsjoes.com/2009/11/03/a-sneak-peek-at-the-amazon-exclusive-iron-klawcrimson-trooper-comic/ Not an individual member, but supposedly the designation of an elite group of Cobra Troopers above the Crimsion Guard. But since the Extreme series happens in the future, we can always tell that Iron Klaw is the last one of the Iron Klaws. The article says they are the "cream of the crop" of troops, so Iron Klaw is the last one of a legendary elite! Cool, isn't it? PS: Let's hope the comic raises interest on Iron Klaw and gets him released. DAMartin wrote: But since the Extreme series happens in the future, we can always tell that Iron Klaw is the last one of the Iron Klaws. The article says they are the "cream of the crop" of troops, so Iron Klaw is the last one of a legendary elite! Cool, isn't it? There was a sweet fan-fic written back a few years ago by a bloke under the screenname of StraightEdge. "Old Soldiers Never Die" was an expanded version of the DTV Sgt. Savage animated VHS feature that came with one of the action figures. There is a scene in the story where Cobra Commander sends the Iron Klaw to infiltrate ,and destroy the newly risen SKAR organization from within. Does work out quite nicely connecting the two groups, and having Iron Klaws in COBRA. The One and Only wrote: There was a sweet fan-fic written back a few years ago by a bloke under the screenname of StraightEdge. "Old Soldiers Never Die" was an expanded version of the DTV Sgt. Savage animated VHS feature that came with one of the action figures. There is a scene in the story where Cobra Commander sends the Iron Klaw to infiltrate ,and destroy the newly risen SKAR organization from within. Does work out quite nicely connecting the two groups, and having Iron Klaws in COBRA. fits with the hasbro Comic that has Iron Klaw training the crismon guard too doesnt it! Iron klaw has been making appearances in the GI JOE CLub comic !